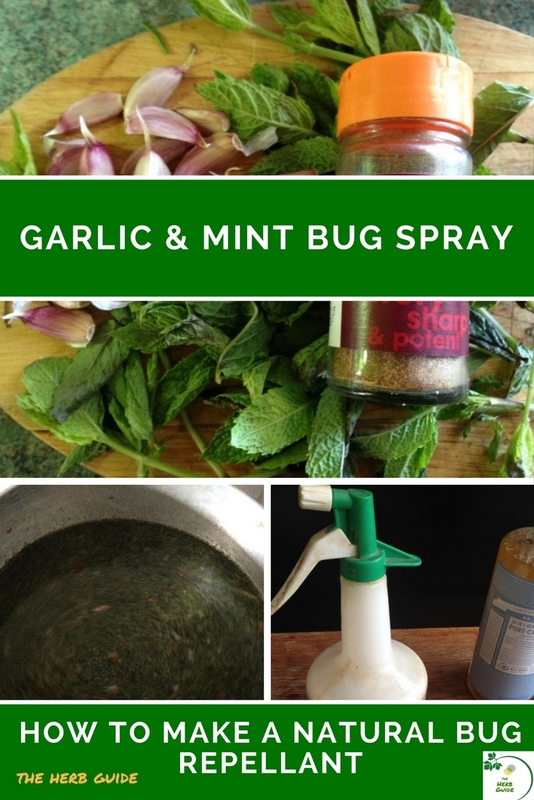 This is a super easy garlic mint insect spray. You need to leave it overnight and then strain and use it the next day. Shelf life will be around a week or maybe two to three if you keep it in the refrigerator. It's perfect for herbs, vegetables and fruit trees as it's organic and has no nasty chemicals - you don't want to eat some of the things they put in bug sprays. It is more of a repellant than a 'killer'. Garlic is very powerful and will kill bugs, but you don't want whatever it is that's eating your plants anyway. Watch the video to see how easy this is to make. There are captions on the video if you can't have the sound on for any reason. Also, there's the recipe and transcript below. If you use this and you get good results (and many people do!) I'd love it if you could send me some photos of your healthy plants. That would be fabulous. In this video I’m showing you how to make a garlic and mint bug spray. If you don’t want to use chemicals on your plants, then try this. It’s Liz here from The Herb Guide showing you how to make a natural bug repellant that really works and is suitable for herbs, vegetables and fruit trees as well as your ornamental plants. Take a whole bulb of garlic and a good handful of fresh mint. There’s no need to peel the garlic if you don’t want to. Put them into a food processor and run it for a few seconds until it’s chopped finely. Put 4 cups of water into a large pan. Add one teaspoon of cayenne pepper. Tip the garlic and mint mixture into the pot and give it a stir. Bring the water up to be hand hot. Turn the heat off and leave the pan covered overnight. 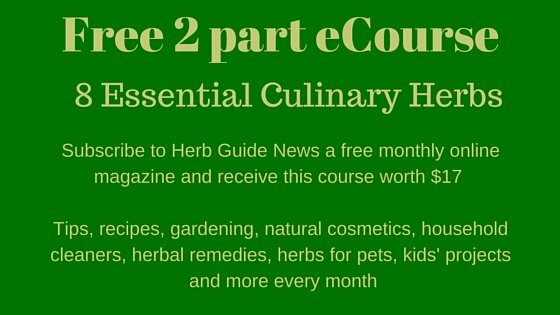 You don’t want to boil the water as that would destroy the active ingredients in the garlic. Strain the mixture through a sieve to remove the debris. Pour it into a spray bottle and use on your plants. The best time is very early in the morning or at dusk so that it dries before the sun comes out. The combination of the spray and sun could scorch the leaves of your plants. Make sure you spray underneath the leaves as well as on top. I had moths attack my olive tree earlier this year and after applying this garlic and mint bug spray I had no more visits. I didn’t see any dead bugs, just no more eggs laid in the leaves. You can use organic dish soap if you have it - if you haven't then use whatever it is you've got to hand. If you're already using it on your dishes, then you don't have a problem with the ingredients. If you prefer though, you can order some Castile soap - you can use it for dish washing, shampoo, body wash and many other things. A bottle of pure Castile Soap goes a long way and you'll be able to get rid of quite a few household products you use at the moment. It's certified organic and vegan, the packaging is recycled plastic and it's natural, containing no detergents. If you buy the unscented one, you can add a few drops of essential oils of your choice - there are scented ones, but that will limit you to the one scent, by getting the plain one, you can have all sorts for different things. I ordered mine via Amazon as there are not many physical shops that sell it - plus I didn't want to walk into a shop for one item and spend a month's mortgage! I know my weaknesses, and natural products are on that list. The links below take you to either the US or UK site - they are affiliate links, but you don't have to use them. If you do, I may earn a small commission which goes towards the running of this site.